Sherwin Belkinis a founding Partner of the firm. Mr. Belkin has represented owner in numerous proceedings and hearings before the New York State Division of Housing and Community Renewal, Attorney General’s Real Estate Financing and Consumer Frauds Bureaus, US Department of Housing and Urban Development and New York City and New York State Commissions on Human Rights and challenged such administrative findings in the New York State Supreme Court. 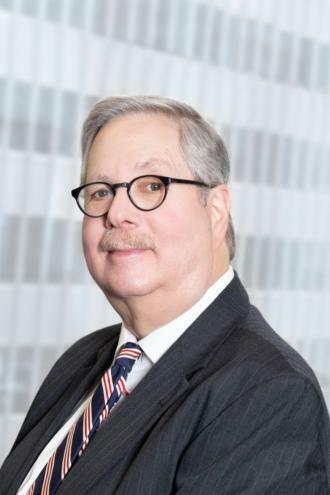 In addition, Mr. Belkin has handled appeals at the New York State Appellate Term, Appellate Division and Court of Appeals. Mr. Belkin has worked with many developers in transforming sites from one purpose to another. As an example, Mr. Belkin led the vacating of the Mayflower Hotel into 15 Central Park West, one of the most successful buildings in the City. He also led administrative proceedings, litigation and negotiation that resulted in Waterside Plaza exiting the Mitchell-Lama program and being held exempt from Rent Stabilization. Mr. Belkin has lectured at seminars sponsored by the Rent Stabilization Association, Community Housing Improvement Program, Associated Builder and Owners, Community Bankers Association, LandlordsNY, GreenPearl Multi Family Summit, NYU’s Master of Real Estate Science and the Association of Housing Court Judges on a wide variety of rent regulation and landlord tenant issues. Mr. Belkin is frequently called upon for interviews by The New York Times, Wall Street Journal, New York Post, New York Daily News, Real Deal, Real Estate Weekly, Crain’s, New York Magazine, New York Law Journal, Apartment Law Insider and NY1’s Inside City Hall. Mr. Belkin has been recognized as a “Super Lawyer” and been awarded AV Preeminent Standing, which is the highest rating for both legal ability and ethical standards as determined by the Bar and the Judiciary.